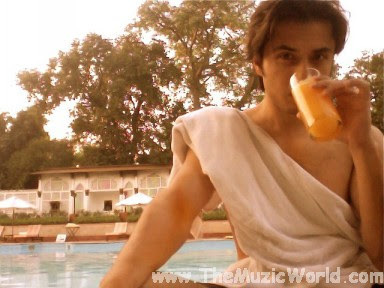 Ali Zafar sitting by the pool side. Writing. Designing. Watching "Jhoom" video and enjoying his day off. About the Jhoom video, Ali says: "Dir Uzer has done an amazing job. Whoever has seen it so far loves it." YOU'VE GOT ME TWISTED : FreeStylers Co.